You are invited to attend our 2019 Men’s Retreat on Friday, March 29th to Sunday, March 31st. 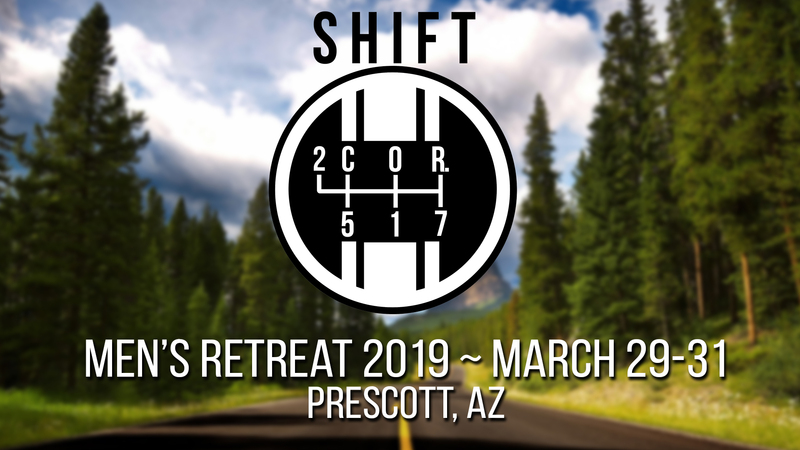 The message of this year’s retreat is SHIFT. 2 Corinthians 5:17 says that anyone who belongs to Christ has become a new person. The old life is gone; a new life has begun. Join us as we find out what this looks like in our daily lives. We’ll have live worship, practical teaching sessions, and lots of awesome activities including mountain biking, hiking, fishing, softball, poker, gaming, and just relaxing in the pines. The cost is $175 and includes 2 nights lodging, 4 meals, snacks and event swag. A $50 deposit to reserve your spot is due by February 24. Save the date, get your deposit in, and let’s enjoy an amazing time up north.